How a Helicopter Fly and Constructed? What is Otto Cycle Engine? We all have heard about Otto cycle. In this tutorial we will learn What is Otto Cycle and working of Otto Cycle engine. We will learn about air standard analysis of this Cycle and derive the expression of it’s Efficiency. We know that Otto cycle is air standard cycle of petrol engine. All petrol engine work on this cycle. To analysis the petrol engine we used a air standard cycle known as Otto cycle. We know that actual analysis is complicated so we use some assumption to analysis the petrol engine. The main assumption is that the working fluid is ideal air and heat is transfer by heat reservoir so this cycle known as air standard cycle. This cycle was given by Nicolas Otto so also known as Otto cycle. 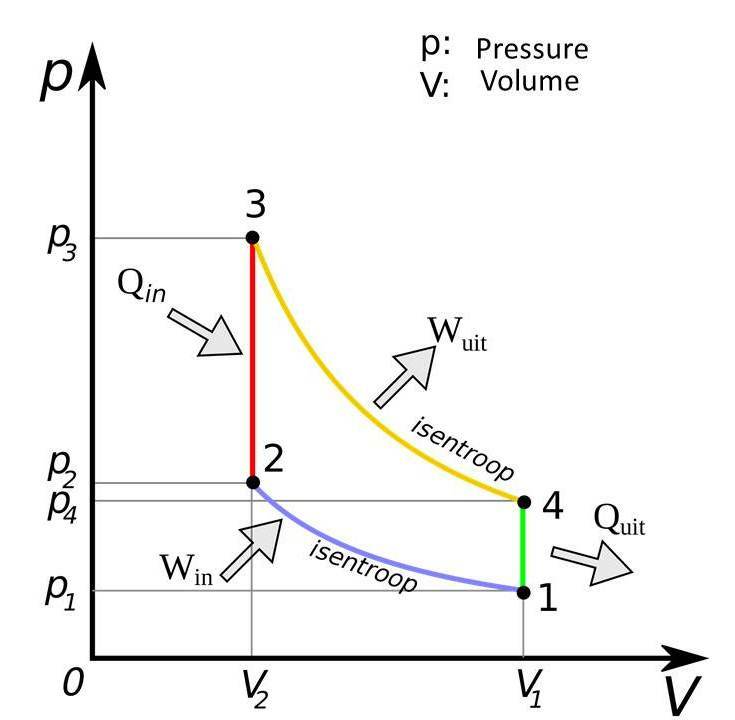 Otto cycle consist four processes, in which two are constant volume (isochoric) and remaining two are isentropic processes. 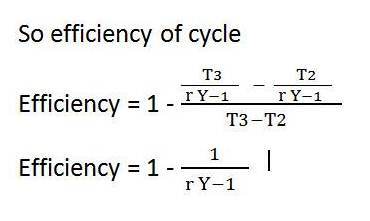 In this cycle heat addition is done at constant volume process so this cycle is also known as constant volume cycle. We know working of petrol engine. In the petrol engine, air fuel mixture enters into the cylinder in intake stroke but to analysis this engine we assume only air enters into the system. We assume a piston cylinder device in which air is enter into the system. This device is insulated from surrounding. The head of the device is replaceable by heat reservoir. In the initial condition piston is at Top Dead Center. The insulated head of the device is replaced by high temperature heat reservoir. The heat is added to the system by heat reservoir at constant volume. The temperature and pressure increase of the system due to heat addition but the piston does not move. 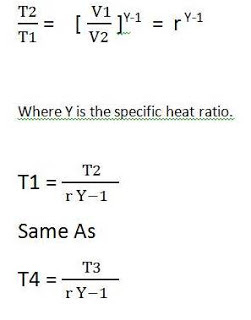 The whole process of heat addition done at constant volume. After this process the heat reservoir is replaced by insulated head. Now the system is insulated by surrounding. Due to high pressure and temperature, piston expands from TDC to BDC. The pressure and temperature of the system decrease and the volume increases. In this no heat is added or removed from the system. So this is done isentropically. Now the insulated head of the system is replaced by lower temperature heat reservoir. Due to this heat is removed from the system at constant volume. The pressure and temperature of system decreases due to heat rejection but the piston does not change its position. So this process done at constant volume. Now the replaceable heat is replaced by insulated head. At this time no heat is added or removed from the system. But due to low pressure inside the cylinder the piston compressed and moved toward TDC. 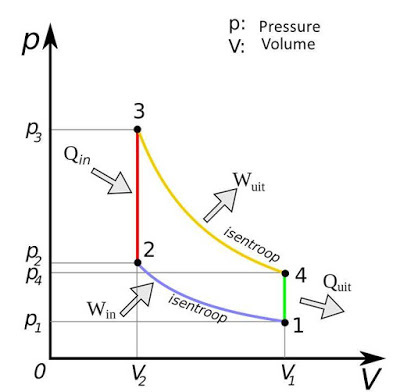 The volume of the system decrease and the pressure and temperature increases. This process done isentropically. The piston and the charge reaches its initial condition. So it completes a cyclic process. After the heat addition the piston moves downward or expand which increase the volume of system. 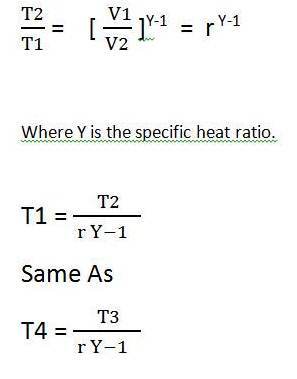 No heat addition or rejection during this process. So this process done isentropically. This process is shown by 3-4 line in PV diagram. After the piston reaches BDC the cylinder head is replaced by the low temperature heat reservoir. So heat is rejected by the system. The piston does not move during this process so this process done at constant volume. This process is shown by 4-1 line in PV diagram. After the heat reaction the piston moves toward TDC and compress the charge. No heat is rejected by the system during this process. So this process done isentropically. This process is shown by 2-1 line in PV diagram. Today we have discussed about what is Otto cycle and and working of otto cycle engine. 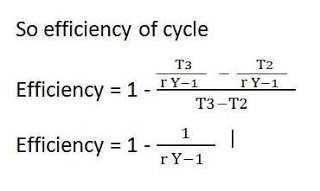 We have also learnt about how to calculate Otto cycle efficiency. If you have any query regarding this article, ask by commenting. Thanks for reading it. What is Heat Treatment Processes? Copyright © 2019 mech4study. All rights reserved.